Vespa LX is relaunch of popular Italian scooter. In India this scooter was launched in the year 2012 Auto Expo. The scooter at present does not have any variant available. It has simple design rather than any complicated feature and thus is easy to use. The current design of this scooter has a curved body panel and round headlight. The engine of this one of the powerful engines offered in this sector. Engine of this scooter is 125 cc with single cylinder which eventually produces 10 Nm torque. This scooter is well equipped with some standard features analogue indicator of speed and amount of fuel. 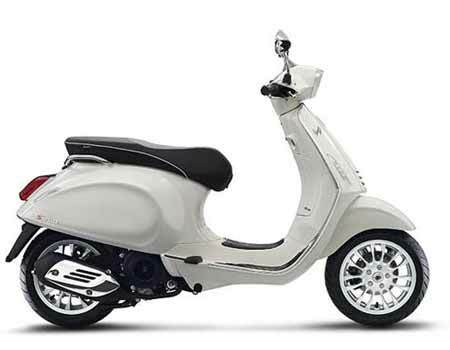 The scooter is available in 5 shades which peppy colors like includes yellow, orange, blue, silver and red. 125 – This motorcycle has been equipped with 125 cc engine, has automatic transmission, 45 kmpl mileage and ex-showroom price around INR 68,272.